OnePlus 6T McLaren Edition design has been leaked online, giving us the first unofficial look at the upcoming phone. There's so much chatter about OnePlus 6T McLaren Edition, but no one really knew how the phone would actually look like. 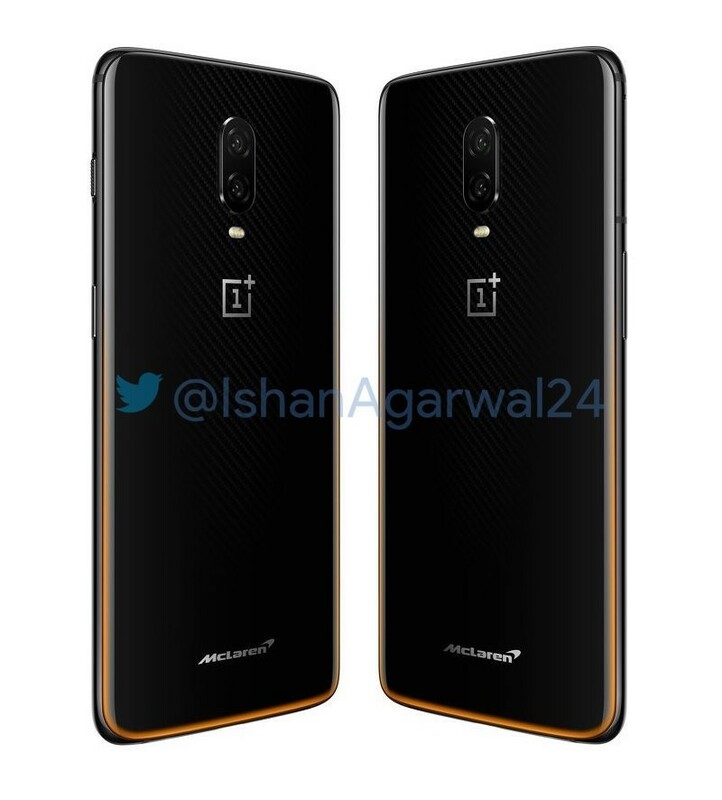 Thanks to Ishan Agarwal, a mobile tipster, we now have the first unofficial look at the OnePlus 6T McLaren Edition through leaked renders. 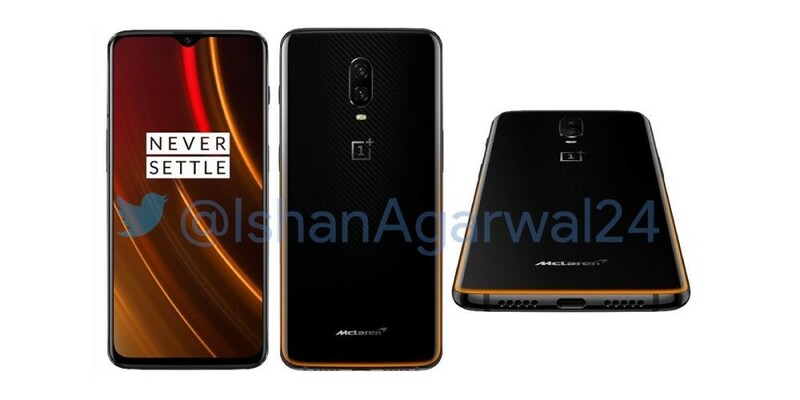 Looking at the leaked images of the upcoming OnePlus smartphone, the company seems to have done quite the makeover to complement its collaboration with the McLaren brand. 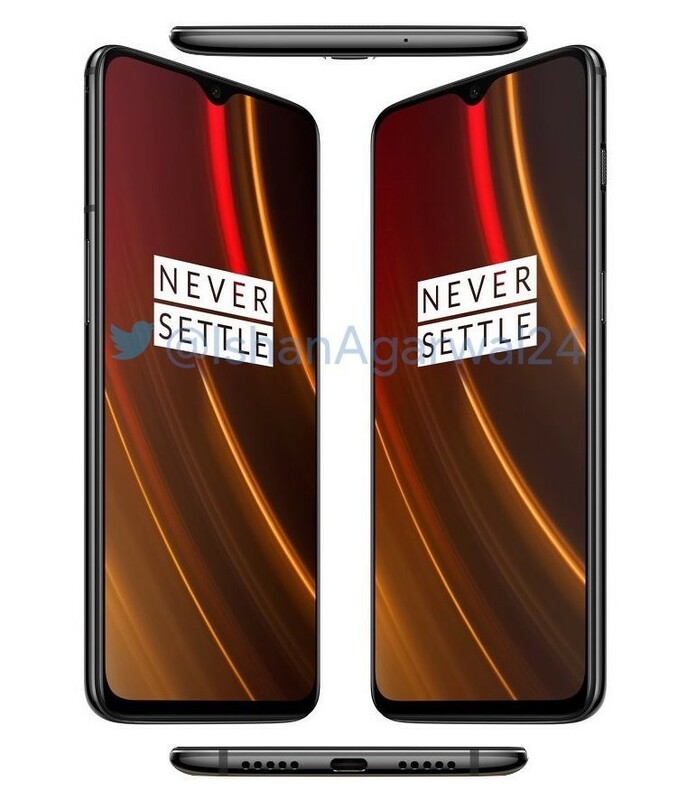 The glass sandwich design has been retained in the OnePlus 6T McLaren Edition with some cosmetic changes that are unique to this model. OnePlus 6T McLaren Edition's leaked renders show a textured black carbon fiber finish on the glass back with a subtle orange line along the accent. It looks as if the rear panel is glowing, but we all know it's just the magic of the golden-hued colour. We'd hoped to see a bright colour variant, but OnePlus wants to keep it subtle and elegant. A bright orange colour back cover would have complemented the McLaren homage pretty well, but the leaked material doesn't seem too bad. In fact, OnePlus has a McLaren logo at the bottom of the back cover, which is something OnePlus has done with past special edition phones like the OnePlus 5T Star Wars edition. The rest of the overall design looks the same. Everything from waterdrop-style display to a bezel-less screen, USB Type-C port surrounded by stereo grills and the volume and power controls remain unchanged in the OnePlus 6T McLaren Edition. However, there is a new wallpaper or a theme that match the overall aesthetics of the McLaren Edition. Ishan also mentions that the upcoming OnePlus smartphone would boast 10GB RAM, 256GB storage and new Warp Charge 30, which is to provide a day's power with just 20 minutes of charge. Another interesting mention is the name of this new colour variant – OnePlus 6T McLaren Edition Speed Orange - which was also leaked previously in OnePlus marketing material, 9to5Google reported. With almost everything leaked about the OnePlus 6T McLaren Edition, the company still holds the main cards – pricing and availability in India. The official launch of the handset will take place in India on December 12, a day after its international debut in London. Stay tuned for updates.